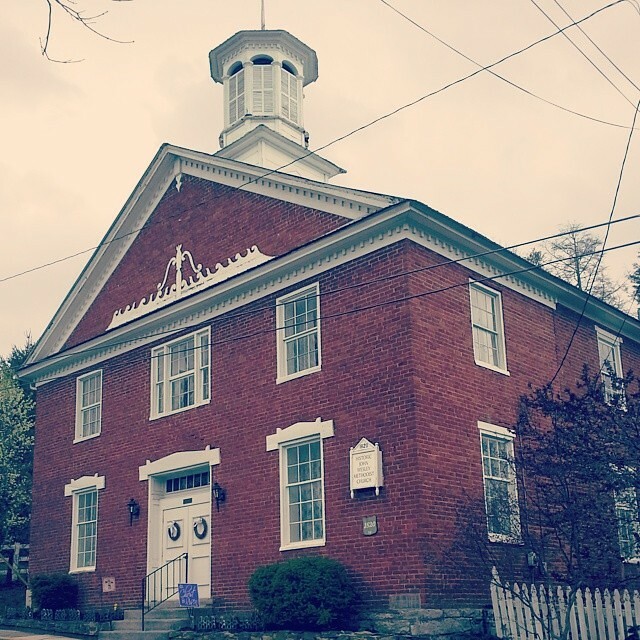 The John Wesley Methodist Church in Lewisburg was built in 1820 and continues to hold services. It is located on E. Foster Street and is one of the oldest brick churches in West Virginia. As was common at the time, the John Wesley Methodist Church was built with a second story slave gallery, and today a sign marks the spot of the old slave gallery staircase on the side of the building. During the Civil War, a cannonball fired in the Battle of Lewisburg in 1862 went through the wall of the church and this spot is also currently marked by a sign (see below). After the fighting, the church was used to shelter the wounded from the battle. Following the war and the end of slavery, the church was given to the newly freed African-American Methodist community in Lewisburg, some of whose descendants continue to still to the congregation. 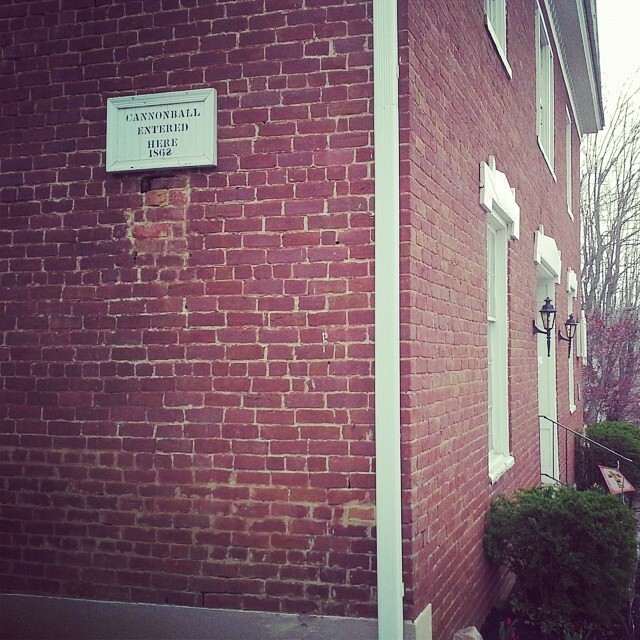 Plaque indicating the spot where a cannonball went through the wall during the Civil War. Check out some historic photographs of Lewisburg by clicking here! « Ramps-Are we Sustainably Harvesting Them?